Tinnitus describes noises that come from inside the ear rather than from outside sources. It can vary in severity and is often described as a “ringing in the ears”. It can be a distressing condition but tinnitus treatment is available in Lichfield and can greatly improve the quality of your life. If you can constantly hear buzzing, sizzling, hissing, whistling, humming or grinding noises then you may be suffering from tinnitus. There is no one type of treatment for tinnitus as it depends on what is causing the condition. It can be caused by a build-up of earwax, a middle ear infection or various problems within the inner ear. It’s a very common condition (an estimated 65% of people suffer from some form of tinnitus) and affects people from all walks of life. Fortunately, our hearing experts can use the latest technology to find out what is causing the condition and give you the tinnitus treatment you need. Establishing what causes the tinnitus, such as stress or a particular time of the day, can greatly improve the chances of finding a successful form of tinnitus treatment. Many people learn to live with the condition and it becomes part of their lives but it really doesn’t have to be. 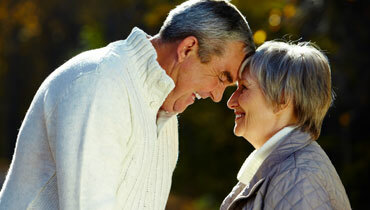 We have over 25 years of experience in tinnitus treatment and have helped many people overcome the condition. Our customers are often surprised at how dramatic the improvement is to their hearing is and how much it improves their lives. If you would like to know anything at all more about our tinnitus treatment in Lichfield then please get in touch with us now! No matter how long you have had the condition or the severity is costs nothing to find out how we can help.